Change is in the air. Power outages are increasing, and gas prices are soaring. At first, 12-year-old Luz balks, hardly thrilled by the prospect of actually having to walk to the mall. But Luz doesn’t mope for long. After all, her name — pronounced “loose” — means “light.” Soon, this intelligent and spirited chica begins to understand that she must change with the times. As food prices rise, Luz decides to help create a more self-sustainable community by transforming a run-down city lot into a garden where she and her neighbors can grow their own fruits and vegetables. But when she solicits help from her friends — boy-crazy Anika and computer-whiz Robby — they think she’s a little loco. Luz pedals her idea on the street, but the community is equally dismissive. 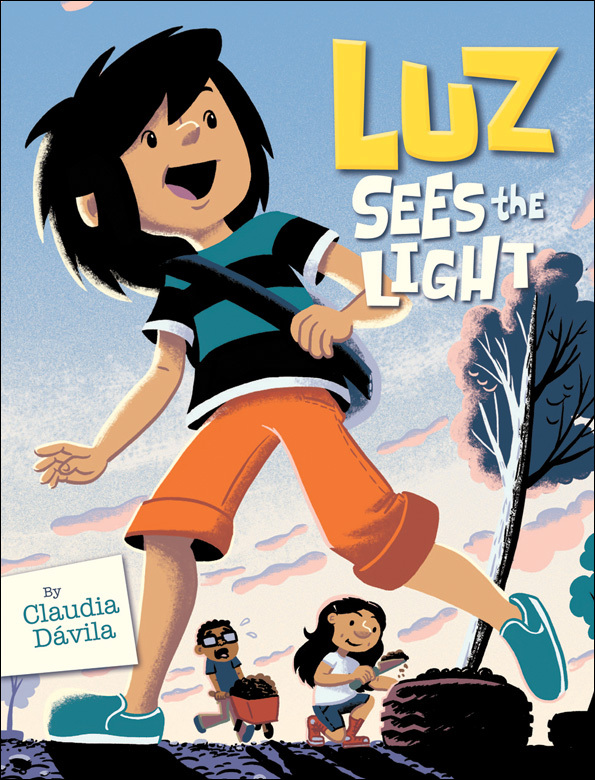 Can Luz pull off her plan and help change her world alone? This graphic novel is a kid-friendly take on sustainable living in a fossil fuel–dependent world. Preteens will love the fearless, fiery and resourceful heroine and will find inspiration in her efforts to steer her society toward self-sustainable living. Hip and energetic illustrations bring Luz and her world to life in a jazzy, appealing fashion, and a bonus chapter teaches kids how to make garden compost. 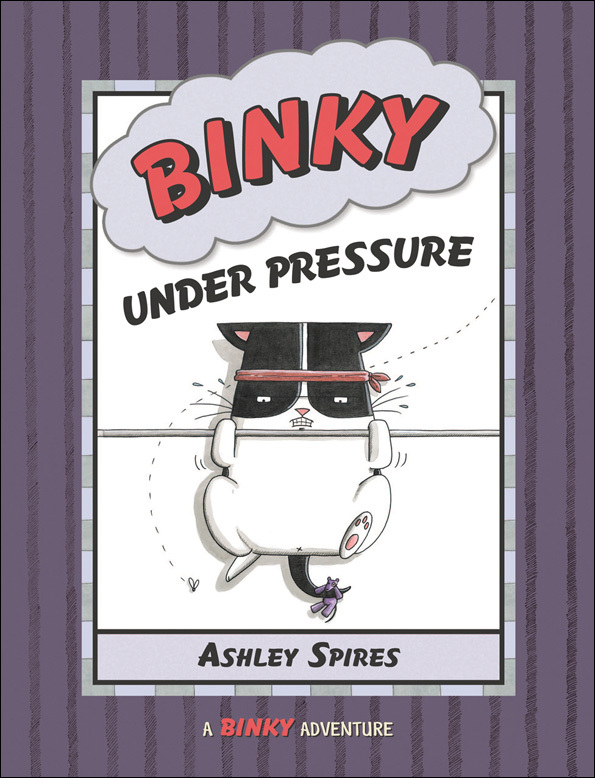 In Binky’s third adventure, our intrepid, sometimes accident-prone hero is shaken out of his routine when he’s forced to contend with Gracie, a dainty striped foster kitty who comes to live at Binky’s space station (aka his home at 42 Sentinel Parkway). Binky instantly resents the new arrival, whose cute face and perfect manners are downright annoying. Indeed, Gracie seems too perfect. So Binky decides to do some undercover investigating and discovers a shocking truth about the family guest. Soon Binky is thrust full-throttle into a situation that puts all his Space Cat skills to the ultimate test! 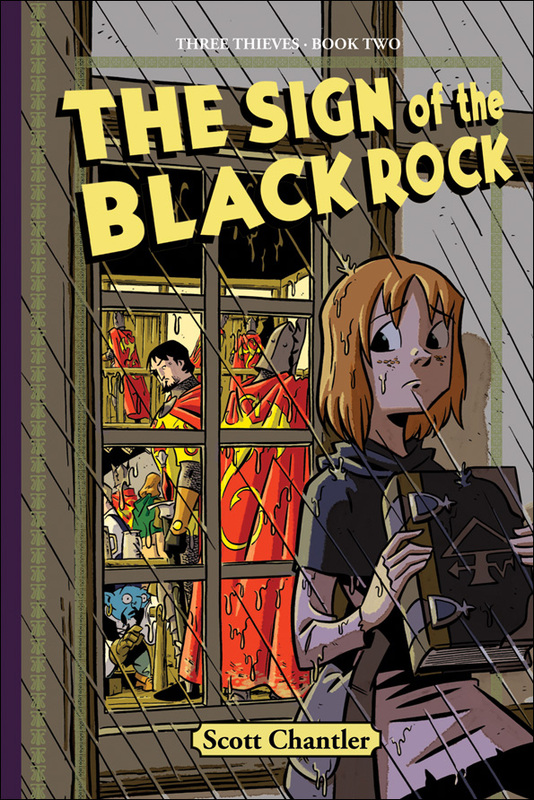 THE SEQUEL TO THE JOE SHUSTER AWARD* WINNING BOOK BY SCOTT CHANTLER! Young readers (and adults, too) will feel transported by the clever, intricate plotline and superb, sweeping illustrations of this second title in the Three Thieves series. The action resumes as our three goodhearted fugitives stop at a roadside inn during a ferocious thunderstorm. Narrow escapes ensue as Grig, the scheming and selfish innkeeper, endeavors to capture the trio and secure a reward from the Queen. Tensions mount further as the Queen’s Dragons arrive at the tavern, hot on the trail of the fugitives and immediately suspicious of the smarmy Grig. Will Grig get his due? Will the fugitives escape? And why hasn’t Grig’s gentle wife spoken a word in ten years? You can bet she’s got a secret. Otto is a lumbering, sweet-natured elephant who can’t forget his childhood chum Georgie, a smiley-faced chimpanzee who was abducted and shipped away from their forest home by the mysterious and sinister Man with the Wooden Nose. Accompanied by a wisecracking but protective parrot named Crackers, Otto decides to hop a plane and look for Georgie in America. 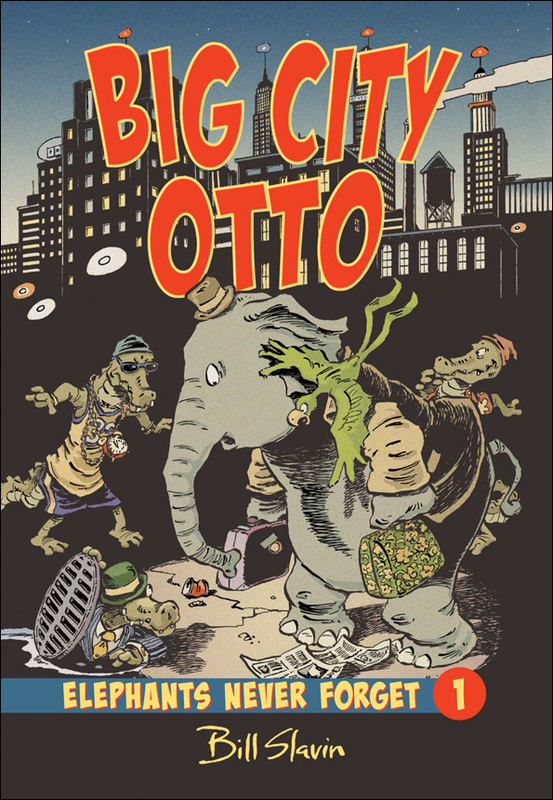 But once they hit the wild streets of the concrete jungle, Otto and Crackers court trouble at every turn — even becoming unwittingly involved in the seedy alligator underworld dominating the city sewers. And little do these out-of-place out-oftowners realize that they, too, are being doggedly pursued across the city — by the local police! Will the authorities catch Otto and Crackers? Will Otto and Crackers find Georgie? Who is the Man with the Wooden Nose? And what’s an elephant doing sporting a trenchcoat and fedora? 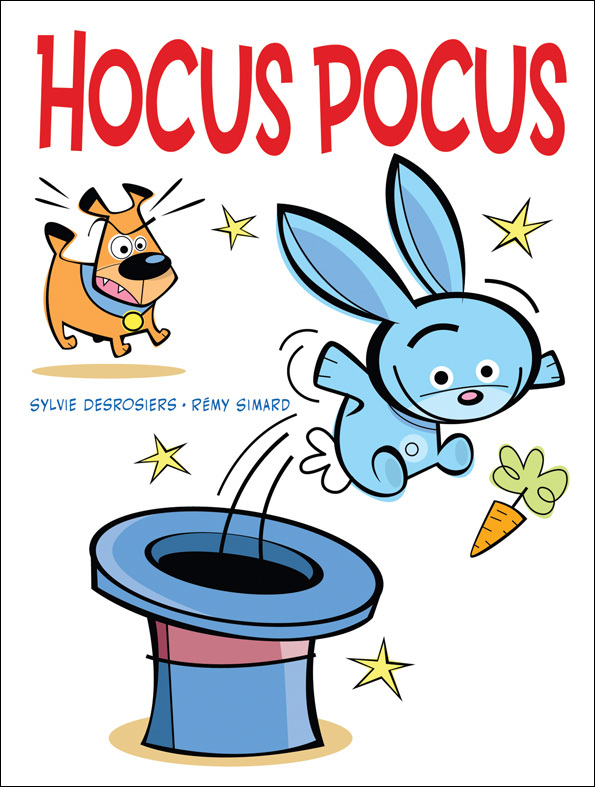 This zany tale pits a grouchy pooch against Hocus Pocus, a mischievous blue bunny who lives in a magician’s hat. When Hocus Pocus spots a bunch of tantalizing carrots poking out of a shopping bag, he decides he must have them. But to reach the kitchen counter, he must risk waking Dog, a pet canine who snoozes nearby. Tiptoeing in a pair of bunny slippers works beautifully at first — until a peanut shell gets crunched loudly underfoot. Soon, Dog is wide awake, and the two begin a hilarious battle, trading victories and defeats and ultimately attracting the attention of the none-too-pleased magician. A classic retro feel gives the illustrations and story a fun punch. This entry was posted in 2011 Releases, Comics For Kids, General Announcements by Kevin A. Boyd. Bookmark the permalink.